Always very detailed and helpful. 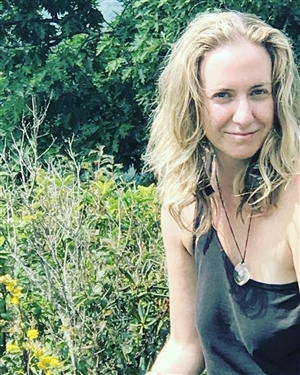 Clairaudient, clairsentient, and an empathic intuitive with many lifetimes of experience, Shanti's path as a healer includes yoga & massage therapy, vibrational living foods nutrition, and now PSYCHIC ASTROLOGY & TAROT. The gift passed through her maternal line--with whom she connects daily as primary spirit guides. Shanti reads with or without tools. A graduate of Harvard University and the Center for High Energy Metaphysics, Shanti's diverse international clientele includes leaders in the arts and business. Shanti is known for her relaxed, friendly and open style, her ability to connect with all people regardless of their paths in this life -- and of course MIND BLOWING ACCURACY. While predictions do come to pass, Shanti loves to teach callers to use DELIBERATE CREATION to manifest ALL desired outcomes. She can guide you in transforming your relationships, virtually overnight. Processes are offered to assist you in initiating desired life changes. Please have direct questions ready. Shanti66 has been a user of Keen since 2009. Getting Life Questions advice from Shanti66 through www.keen.com is safe, secure and confidential.